Santa and his helpers may make their home at the North Pole, but Asheville is where Saint Nick comes to get ready for the Big Night. Santa has been spotted showing off his break-dancing moves as he unwinds with his own Blue Ridge Mountain vacation. 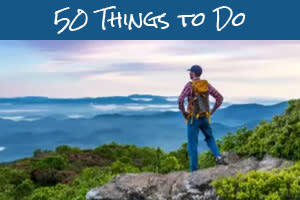 Follow in his fast footsteps with a funky travel itinerary. 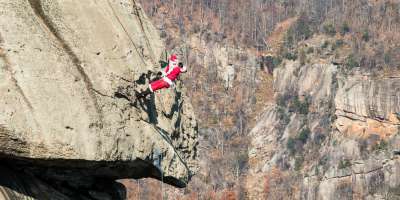 And, mark your calendars for early December for the annual series of events (generally the first two Saturdays of the month) when Santa practices his Chimney-climbing skills on the 315-foot Chimney Rock. No wonder he made BuzzFeed.com&apos;s list of most extreme Santa sightings. 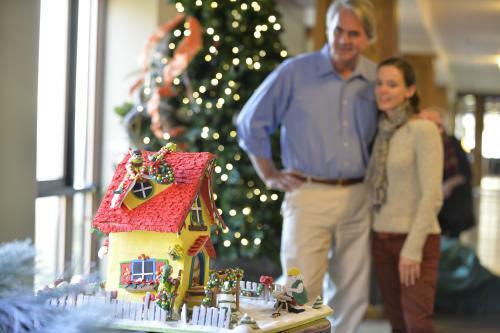 The contestants in the National Gingerbread House Competition & Display, held annually at The Omni Grove Park Inn, take the sweet art of holiday baking to a whole new level. Each year, judges score more than 150 gingerbread creations, which must be made entirely of edible items and which come in every size, shape and theme imaginable. In 2017, the competition marked its 25th anniversary! Visitors won&apos;t want to miss the opportunity to stroll through a veritable village of dozens of homemade houses in the (equally enchanting) historic resort during this anniversary event! When you&apos;re America&apos;s Largest Home, the only way to do the holiday is to do them big! 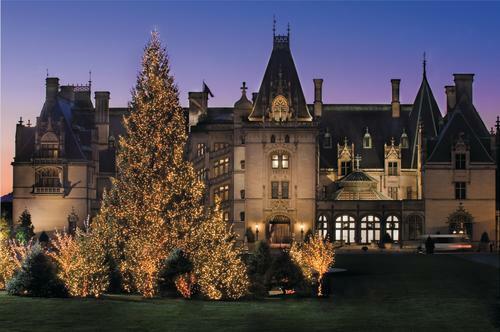 Biltmore first opened its doors to guests on Christmas Eve in 1895. Biltmore still wows visitors today during the Christmas at Biltmore celebration with more than 60 decorated trees, thousands of feet of garland and hundreds of poinsettias, not to mention a 35-foot Fraser fir that stretches to the ceiling of the great Banquet Hall. Feel the excitement during Candlelight Christmas Evenings, where your epic tour will be accompanied by music, stories and flickering fireplaces. 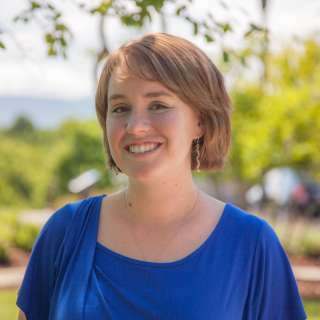 Asheville&apos;s newest winter tradition brings the holidays to life with 500,000 energy-efficient LED lights throughout the nationally-known gardens of the North Carolina Arboretum. 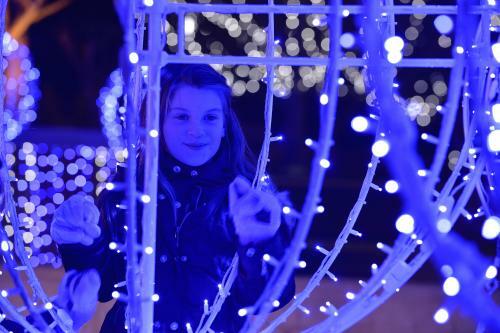 The Winter Lights exhibit enhances the natural beauty of the Arboretum&apos;s manicured grounds. A special highlight is the 50-foot animated tree that comes alive to music. Other fan favorites include the lighted Quilt Garden and the Rocky Cover Railroad garden-scale model train. 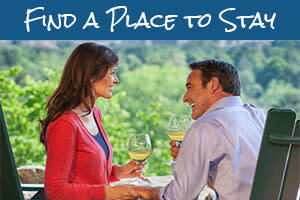 As you stroll, listen to the sounds of your favorite holiday tunes and sip on a cup of cocoa, cider or beer. Speaking of beer, the many breweries in Beer City USA feel especially festive at this time of the year and serve up holiday-inspired beers. 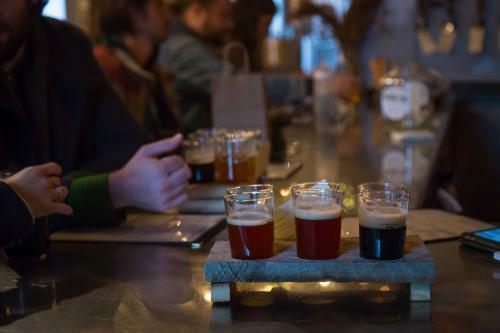 Try specialty beers such as Asheville Brewing Company&apos;s Ninjabread Porter, Sierra Nevada&apos;s Christmas Jam Ale, and Highland brewing Company&apos;s Cold Mountain.